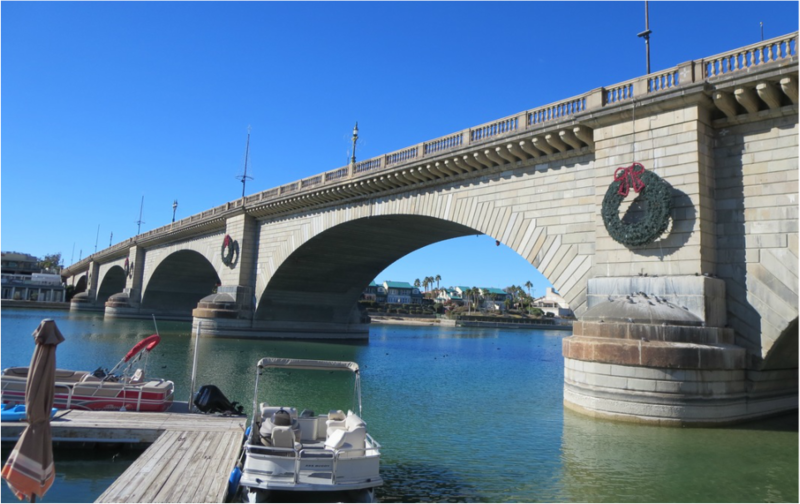 Boating and the 1831 London Bridge attract visitors to Lake Havasu City. It cost chainsaw magnate Robert McCulloch close to $7 million to buy the bridge and rebuild it in Arizona. The recycled bridge was completed in 1971 and since then the desert retirement community has grown to a sprawling city of 53,000. It's a picturesque bridge and worth a stop just off State Route 95, an hour south of Kingman. 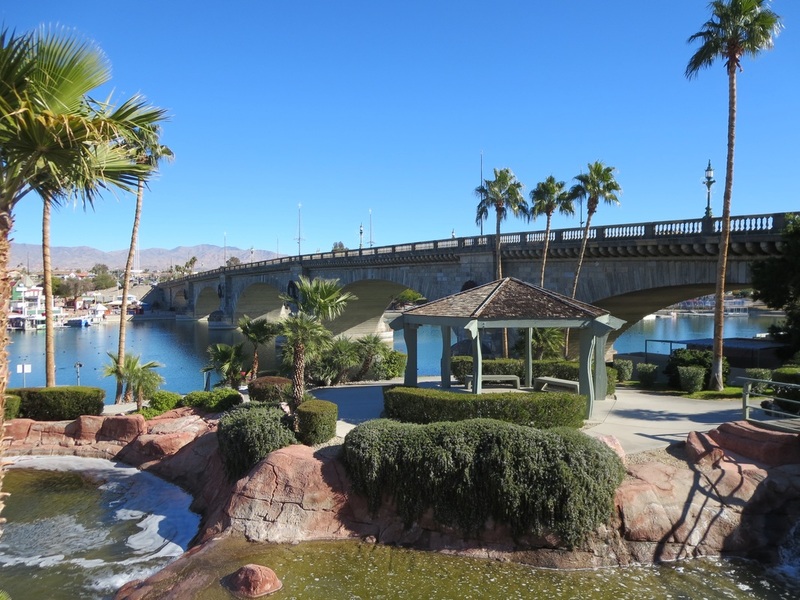 Lake Havasu is known for spring-break partying among college students. What's lesser known is the 18 replica lighthouses along the lake shore that make it safer for boating at night. The one-third scale replicas include the lighthouses at Cape Hatteras, Chicago Harbor and Sandy Hook, N.J. Visitors to the bridge should consider Shugrue's for a nice lunch or dinner overlooking the historic span. The faux English village at the foot of the bridge is full of touristy shops. A statue of Lake Havasu founder Robert McCulloch and planner C.V. Wood. 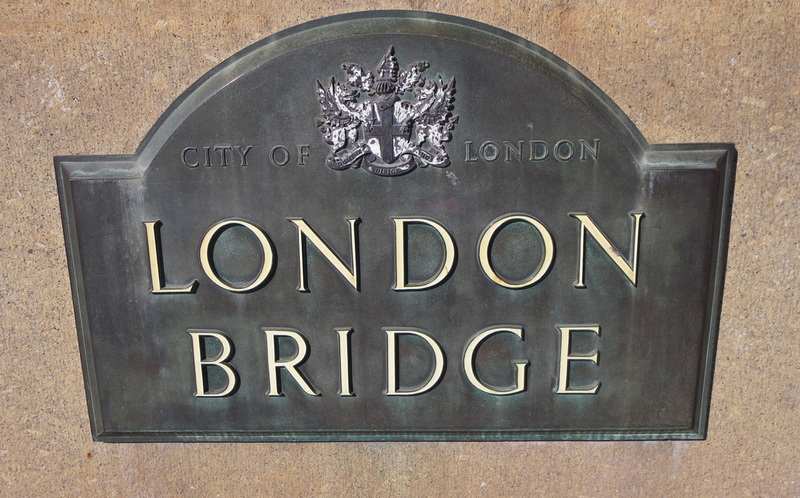 Looking east across an inlet that the 1831 London Bridge spans. The historic bridge has been in place in Arizona since 1971.